The teenage girl puts her arm around the fourth grader. They both smile. The younger child feels warmth, love and a sense of “I matter” from her protector, a cool positive Jewish role model. The teen feels a sense of purpose, of meaning and a sense of “I matter” from a child who looks up to her as a positive Jewish role model. 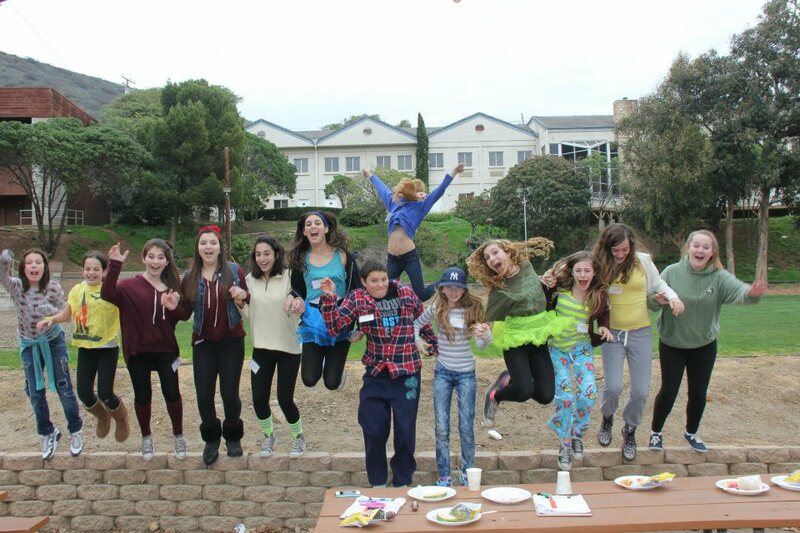 For which child’s benefit did Congregation Or Ami organize this 3 day retreat at Malibu’s Camp Hess Kramer? Ostensibly, for the younger child as this weekend was designated a 4th-6th grade retreat. Yet anyone who has witnessed the powerful effects of empowering teens to be counselors (actually CITs, counselors in training) recognizes quickly that upon assuming some responsibility for the safety and emotional health of younger charges the teens are themselves transformed. One might argue that the teens benefit the most from these retreats. Why did Or Ami bring more than 20 teens to a younger kids’ retreat? To transform them into leaders, to engage them as positive Jewish Role Models. It worked so well! When our national organization, the Union for Reform Judaism issued a clarion call for communities to reengage our youth, Or Ami listened and responded. “Find new pathways for them to build relationships with each other and with the clergy,” we were told; it will transform everyone, we were promised. This would change the meaning of synagogue to them, helping stem the erosion of post-B’nai Mitzvah families from the synagogue. So Or Ami’s clergy-lay team listened to the interests of the teens themselves and their parents, and we committed to the new notion that any path that leads a child from Bar/Bat Mitzvah student into Jewish connection is as equally valuable as a class taught by the rabbis. So at Or Ami some teens become Future Coaches, learning about the art of sports coaching and the Jewish values that inform that process, and then they plan and run sports clinics for at risk youth. And other teens become VolunTEENS, learning about Jewish social justice and organizing skills, and then creating social justice projects for themselves and others to fix the world. Some teens visit Jewish cultural places with Jewish Culture Chug while others engage each other socially and Jewishly in LoMPTY, a teenager-led NFTY temple youth group. Every path (or Triple T or Track for Temple Teens, as we call them) is valued as a roadmap toward Jewish commitment, connection and knowledge; each path transforms the participant in subtle and significant ways. Each delivers and reaffirms Jewish values along the way. And then there are our Madrichim, teens who work with our younger students in our Kesher, Mishpacha and our Hebrew tutoring programs. They spend time with each rabbi, with a master teacher and with leadership mavens. Then they lead prayer services, run holiday programs and help children master reading Hebrew letters. 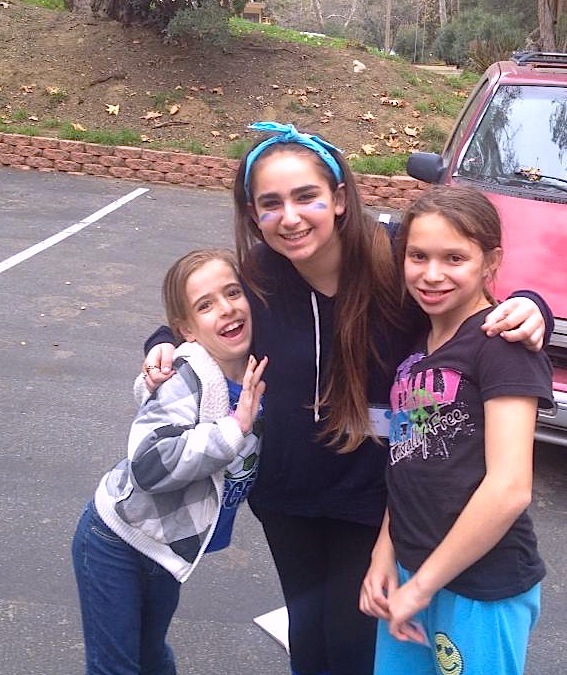 They organize games during breaks, and perform in Torah-based skits during family programs. And all the while, they serve as positive Jewish role models, showing their younger charges that being Jewish, knowing Judaism and being connected to synagogue is cool and meaningful. So why take more than 20 teens to a 4th-6th grade retreat? Because the teens discover within themselves qualities of selflessness, patience, compassion and teamwork. Because each moment they spend focused on the care and feeding of younger children is a moment that creates responsible leadership for the next generation. And because as the teens lead the educational programs – on this weekend, about the qualities of a Jewish hero (see Color Games, Hero Worship and Counter-Cultural Learning)- they begin embody the values and become the heroes themselves. We are so blessed to have dedicated young people who want to be leaders and counselors. They made the retreat so meaningful for so many. Thank you all! Fantastic stuff! The URJ is proud of all that you are doing to engage the next generation. Thank you Rabbi Kipnes and Or Ami!